These terms and conditions of sale which appear on all invoices are the terms and conditions upon which Graeson makes all sales. Graeson will not accept any other terms and conditions of sale, unless Buyer and Graeson have executed a written agreement which specifically modifies, supersedes and/or replaces these terms and conditions. Acceptance of all purchase orders is expressly made conditional upon Buyer's assent, expressed or implied, to the terms and conditions set forth herein without modification or addition. Buyer's acceptance of these terms and conditions shall be indicated by any of the following, whichever first occurs: (a) Buyer's making of an offer to purchase Product from Graeson; (b) Buyer's written acknowledgment hereof; (c) Buyer's acceptance of any shipment of any part of the items specified for delivery (the "Products"); or (d) any other act or expression of acceptance by Buyer. Graeson's acceptance is expressly limited to these terms and conditions in their entirety without addition, modification or exception, and any term, condition or proposals hereafter submitted by Buyer (whether oral or in writing) which is inconsistent with or in addition to these terms and conditions is objected to and is hereby rejected by Graeson. Graeson's silence or failure to respond to any such subsequent or different term, condition or proposal shall not be deemed to be Graeson's acceptance or approval thereof. Unless otherwise agreed in writing, delivery shall be made in accordance with Graeson's shipping policy in effect on the date of shipment. The current Graeson shipping policy can be located at: http://www.shop-paragon.com/Shipping-Delivery_ep_58-1.html. Domestic: For all domestic transactions, unless otherwise stated on the front of the invoice, title to the Products and all risk of loss or damage with respect to the Products shall pass to Buyer upon delivery by Graeson to the carrier or Buyer's representative at Graeson's distribution center. : For all domestic transactions, unless otherwise stated on the front of the invoice, title to the Products and all risk of loss or damage with respect to the Products shall pass to Buyer upon delivery by Graeson to the carrier or Buyer's representative at Graeson's distribution center. For all domestic transactions, unless otherwise stated on the front of the invoice, title to the Products and all risk of loss or damage with respect to the Products shall pass to Buyer upon delivery by Graeson to the carrier or Buyer's representative at Graeson's distribution center. International: For all international transactions, Graeson assumes no responsibility for charges related to customs clearance in the country of delivery, customs duties, VAT or any other charges or taxes within the country designated for delivery by the Buyer. Title shall pass to the Buyer upon delivery to the Buyer or Buyer’s representative. Delivery is subject to the payment provisions set forth herein and to Graeson's receipt of all necessary information and documentation from Buyer including all import certificates, exemption and/or resale certificates, licenses and other documents as may be required from Buyer for export of the Product. Buyer shall promptly notify Graeson, in no event later than two (2) business days after delivery, of any claimed shortages or rejection as to any delivery. Such notice shall be in writing and shall be reasonably detailed, stating the grounds for any such rejection. Failure to give any such notice within such time shall be deemed an acceptance in full of any such delivery. Graeson shall not be liable for any shipment delays beyond the reasonable control of Graeson which affect Graeson or any of Graeson's suppliers, including, but not limited to, delays caused by unavailability or shortages of Products from Graeson's suppliers; natural disasters, acts of war; acts or omissions of Buyer; fire, strike, riot, or governmental interference; unavailability or shortage of materials, labor, fuel or power through normal commercial channels at customary and reasonable rates; failure or destruction of plant or equipment arising from any cause whatsoever; or transport failures. Buyer shall bear all applicable federal, state, municipal and other government taxes (such as sales, use and similar taxes), as well as import or customs duties, license fees and any other similar charges, however designated or levied on the sale or delivery of the Products or measured by the purchase price paid for the Products. Graeson's prices set forth on the front side of the invoice do not include such taxes, fees and charges. Exemption certificates must be presented to Graeson prior to shipment if they are to be honored. Payment Terms: Unless otherwise specified, the payment terms are prepaid. All unpaid invoices shall bear interest at an amount equal to 1-1/2% of the outstanding balance per month (or the maximum rate of interest allowed to be contracted for by law, whichever is less), commencing upon the date payment is due. Buyer's failure to make timely payment may result in such action as commencement of proceedings for collection, revocation of credit, stoppage of shipment, delay or cessation of future deliveries, repossession of unpaid delivered goods and termination of any one or more sales agreements. Notwithstanding any "net" payment provisions specified on the invoice, Graeson shall have no continuing obligation to deliver Products on credit, and any credit approval may be withdrawn by Graeson at any time and without prior notice. Graeson retains (and Buyer grants to Graeson by submitting a purchase order) a security interest in the Products to secure payment in full and compliance with these terms and conditions of sale. Buyer agrees to execute any additional documents necessary to perfect such security interest. Collections: In the event the sales invoice shall be placed by Graeson in the hands of an attorney or collection agency for the purpose of collection, with or without litigation, or for the purpose of enforcing Graeson's security interest in the Products, the Buyer agrees to pay any and all costs associated with such placement, including, without limitation, attorney's fees and costs incurred prior to, during, or subsequent to trial, and including, without limitation, collection, bankruptcy, or other creditor's rights proceedings. Currency: If a sale is to occur, or the Product is to be shipped, outside of the United States, Buyer acknowledges and agrees that the amount due Graeson is contracted in U.S. Dollars and that payment in U.S. Dollars is of the essence. Any payment by Buyer in local currency or the receipt by Graeson of local currency as a consequence of enforcement procedures against Buyer will be deemed an authorization for Graeson to use that local currency to purchase U.S. Dollars or, if such purchase is prohibited by local law, an authorization to purchase appropriate bonds or other instruments and export them from the Buyer's country in order to convert the currency into U.S. Dollars and apply the proceeds to the payment of any amounts owed to Graeson by Buyer. Any deficiency as a result of conversion of payment into U.S. Dollars shall be the responsibility of Buyer. Any return of the Products purchased hereunder, whether for stock balancing purposes or because such Products are claimed to be defective, shall be governed by Graeson's Product Return policies in effect on the date of the invoice, or as otherwise provided by Graeson to Buyer in writing. Graeson’s Product Return policies can be found here: http://www.shop-paragon.com/Absolute-Satisfaction_ep_45-1.html or following the "Absolute Satisfaction" link at the bottom of this page . Graeson reserves the right to modify or eliminate such policies at any time. Although Graeson's policies may permit Buyer to return Products claimed to be defective under certain circumstances, Graeson makes no representations or warranties of any kind with respect to the Products. GRAESON HEREBY DISCLAIMS ALL REPRESENTATIONS AND WARRANTIES, EXPRESS OR IMPLIED, AS TO THE PRODUCTS, INCLUDING, BUT NOT LIMITED TO, ANY IMPLIED WARRANTY OF MERCHANTABILITY, NON-INFRINGEMENT OR FITNESS FOR A PARTICULAR PURPOSE. GRAESON WILL NOT BE LIABLE FOR ANY DAMAGE, LOSS, COST OR EXPENSE FOR BREACH OF WARRANTY. The right to return defective Products, as previously described, shall constitute Graeson's sole liability and Buyer's exclusive remedy in connection with any claim of any kind relating to the quality, condition or performance of any Product, whether such claim is based upon principles of contract, warranty, negligence or other tort, breach of any statutory duty, principles of indemnity or contribution, the failure of any limited or exclusive remedy to achieve its essential purpose, or otherwise. In the event Graeson issues a return authorization to Buyer allowing Buyer to return Product to Graeson, Buyer will deliver the Product to Graeson's address in the United States, if so required by Graeson, and Buyer shall bear all applicable federal, state, municipal and other government taxes (such as sales, use and similar taxes) as well as import or customs duties, license fees and similar charges, however designated or levied, on any replacement Product to be shipped by Graeson to Buyer. GRAESON SHALL NOT BE LIABLE UNDER ANY CIRCUMSTANCES FOR ANY SPECIAL, CONSEQUENTIAL, INCIDENTAL, PUNITIVE OR EXEMPLARY DAMAGES ARISING OUT OF OR IN ANY WAY CONNECTED WITH THE AGREEMENT TO SELL PRODUCT TO BUYER OR THE PRODUCT, INCLUDING, BUT NOT LIMITED TO, DAMAGES FOR LOST PROFITS, LOSS OF USE, LOST DATA OR FOR ANY DAMAGES OR SUMS PAID BY BUYER TO THIRD PARTIES, EVEN IF GRAESON HAS BEEN ADVISED OF THE POSSIBILITY OF SUCH DAMAGES. THE FOREGOING LIMITATION OF LIABILITY SHALL APPLY WHETHER ANY CLAIM IS BASED UPON PRINCIPLES OF CONTRACT, WARRANTY, NEGLIGENCE OR OTHER TORT, BREACH OF ANY STATUTORY DUTY, PRINCIPLES OF INDEMNITY OR CONTRIBUTION, THE FAILURE OF ANY LIMITED OR EXCLUSIVE REMEDY TO ACHIEVE ITS ESSENTIAL PURPOSE, OR OTHERWISE. These terms and conditions shall constitute the final, complete and exclusive agreement of the parties with respect to all sales by Graeson to Buyer and shall supersede all prior offers, negotiations, understandings and agreements. Unless Buyer and Graeson have executed a written agreement which specifically modifies, supersedes and/or replaces these terms and conditions, it is expressly agreed that no prior or contemporaneous agreement or understanding, whether written or oral, shall contradict, modify, supplement or explain these terms and conditions. No additional or different terms or conditions, whether material or immaterial, shall become a part of any sales agreement unless expressly accepted in writing by an authorized officer of Graeson in the United States. Any waiver by Graeson of one or more of these terms and conditions or any defaults hereunder shall not constitute a waiver of the remaining terms and conditions or of any future defaults. No failure or delay by either party in exercising or enforcing any right hereunder shall operate as a waiver thereof or preclude any other exercise or enforcement of its rights. Any provision of these terms and conditions that is prohibited or unenforceable under the laws of the State of Georgia shall be ineffective to the extent of such prohibition or unenforceability, without impairing or invalidating the remaining provisions of these terms and conditions. All sales agreements shall be deemed made in, and shall be governed by, the laws of the State of Georgia. The venue for any disputes arising out of any sales agreement shall be, at Graeson's sole and exclusive option, Walton County, Georgia or the courts with proper jurisdiction at Buyer's location. ALL SALES TRANSACTIONS EXCLUDE THE APPLICATION OF THE 1980 UNITED NATIONS CONVENTION ON CONTRACTS FOR THE INTERNATIONAL SALE OF GOODS, IF OTHERWISE APPLICABLE. a) Buyer acknowledges, represents and warrants that it currently complies with, and at all times shall comply with, and shall not act to contravene, relevant laws, codes, and regulations applicable to the purchase and sale of Products under these terms and conditions. Buyer further acknowledges and agrees that the goods, design, and technology subject to these terms and conditions are subject to the export control laws and regulations of the United States, including, but not limited to, the Export Administration Regulations ("EAR"), and sanctions regimes of the U.S. Department of Treasury, Office of Foreign Asset Controls. Buyer shall not, without prior U.S. government authorization, export, re-export, or transfer any goods, design, or technology subject to these terms and conditions, either directly or indirectly, to any country subject to a U.S. trade embargo or to any resident or national of any such country, or to any person or entity listed on the "Entity List" or "Denied Persons List" maintained by the U.S. Department of Commerce or the list of "Specifically Designated Nationals and Blocked Persons" maintained by the U.S. Department of Treasury. Special Sales & Discounts will be for limited times only. Advertised percentage discount prices may apply to specific marked/listed items only. Discounts will be applied to merchandise before shipping and/or tax. No limit of the same product per customer, while supplies last. 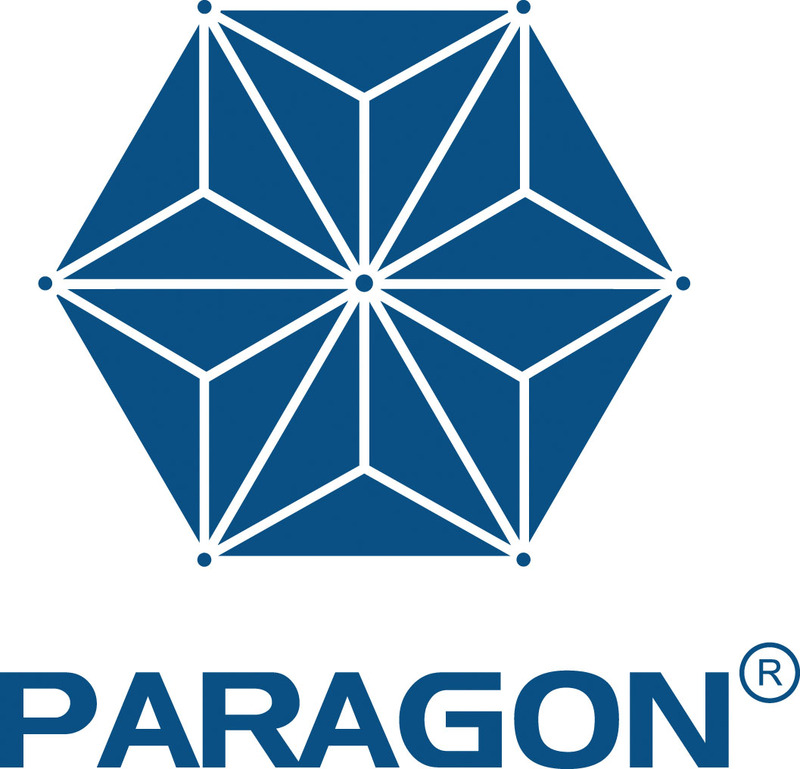 Offer valid online at www.shop-paragon.com for specific times as promoted. Not valid on previous or future purchases, cannot be combined with volume discounts, or other product promotions or offers. Not redeemable for cash. Graeson reserves the right to cancel special sales, discounts, and promotions at any time. Inventory is not guaranteed. Orders including backordered items will be shipped upon Graeson's receipt of backordered inventory on a first come, first serve basis. Items listed as "clearance" will not be available after inventory is depleted. Graeson will make its best effort to unlist clearance items in a timely manner once inventory quantity reaches 0. All sale prices will be reflected online at www.shop-paragon.com. No further discounting will be available during sale events. For sales events during holidays, please refer to our holiday office hours and order online to take advantage of discounted pricing. Graeson cannot be responsible for expired sale pricing after posted sale dates for purchases that are initiated via email, phone message, or social media message but not completed as an online transaction. Graeson shall not be held responsible for incorrect information including but not limited to typographical, clerical, pictorial, or pricing errors and reserves the right to refuse or cancel any orders extending from such errors. Graeson reserves the right to make minor product design variations that do not affect the functionality of the product before said variations are apparent in typographical or pictorial product descriptions.If an error is recognized in any marketing or sales materials, Graeson agrees to promptly inform customer of such and provide updates to said materials in a timely manner. Customers are encouraged to call Graeson directly at 1-888-731-6671 if they feel something may be listed in error.